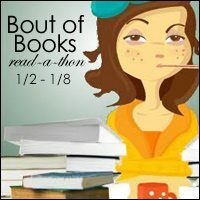 Bout of Books is a readathon hosted by Bout of Books. Bout of Books is a readathon that lasts a week, with the goal being to read as much as you possibly can. My goal is to finish Crooked Kingdom and to start The Star-Touched Queen. I'll finish adding everything to this post later, I just want to get it posted.